Download our sizing chart and comparison chart below to learn more about Comfort Supply Co. products. Comfort Supply Co.’s Essential Cotton Terry Mattress Protector, made with a cotton terry surface, keeps your bed cool, clean, and comfortable. The Essentials mattress protector’s waterproof and breathable barrier protects your mattress from stains, spills, allergens, and dust mites. This low cost protector comes with a 10 year product warranty and is essential to a cool, clean and comfortable night’s sleep. Comfort Supply Co.’s Essential Stretch Knit Mattress Protector provides a top surface that contours to your mattress to provide a concealed layer of protection that protects your bed from stains, spills, allergens, and dust mites. 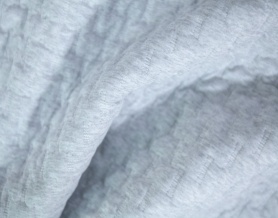 The slight dimple knit pattern offers optimum airflow, contributing to a cool night’s sleep. This low cost protector option comes with a 10 year product warranty and is essential to a cool, clean and comfortable night’s sleep. Comfort Supply Co.’s elevated, heather gray design offers a layer of comfort while providing a clean and cool sleep environment. Created with a plush, padded knit, the Bliss mattress protector combines high style with waterproof, allergen, and dust mite protection. The Bliss mattress protector comes with a 10 year product warranty. 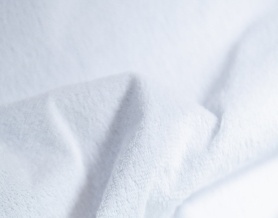 Comfort Supply Co.’s Opulence Mattress Protector features a 100% Tencel® surface. Made from eucalyptus fibers, the Opulence protector provides a naturally smooth and silky surface, while being very breathable and never sleeping hot. The highly breathable and absorbent surface, along with our waterproof barrier, create a cool, clean, and comfortable sleep environment for the user. The nonabrasive, Tencel® surface is great for sensitive skin, is hypoallergenic and inhibits bacterial growth in your mattress. The Opulence mattress protector comes with a 10 year product warranty. 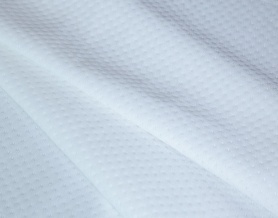 Comfort Supply Co.’s patented Coolest® technology is an ultra-high moisture wicking polyester that provides a cool to the touch sleeping surface, dissipating heat and humidity faster than any other fiber, creating a cool, undisturbed sleep. 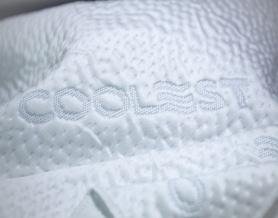 Our Coolest® Technology surface, along with our waterproof barrier provide a dry and allergy free sleeping environment. The Arctic Mattress protector comes with a 10 year product warranty. Comfort Supply Co. is a division of Culp Inc.